The 30-minute adventure begins with a walk through the outdoor exhibits. 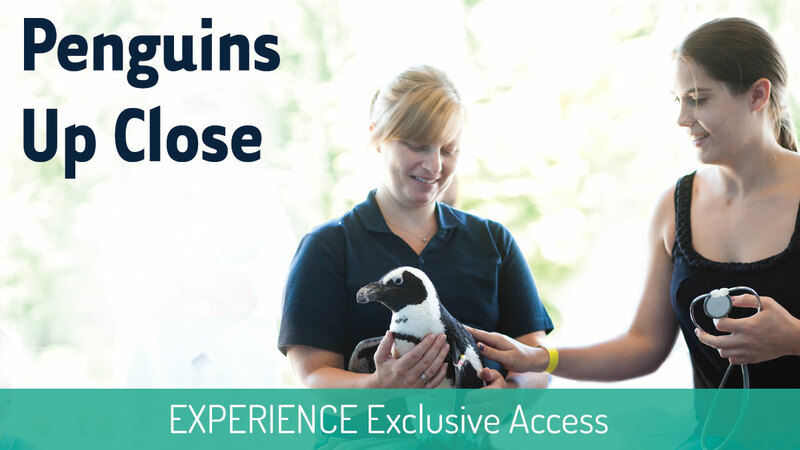 Then, climb the stairs to the penguin care facility for a program that includes a private behind-the-scenes look at the intricacies of penguin care including training behaviors, animal/trainer relationships and, of course, the chance to interact with an African penguin. There is a maximum of four guests per program; participants must be at least 6 years old; children ages 6-12 years must be accompanied by a paying, participating adult.